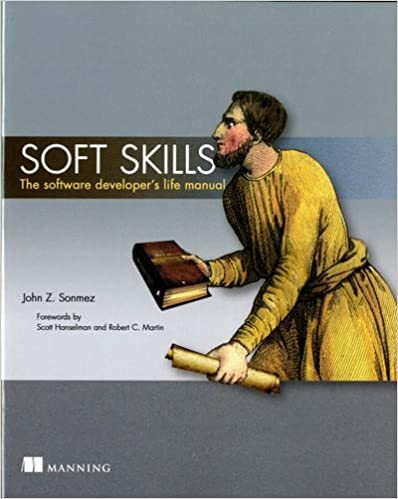 Back in September, I listened to the Soft Skills: The Software Developer’s Life Manual audiobook, from John Sonmez of simpleprogrammer.com, and really enjoyed it. Except for one part, which ticked me off. In chapter 17, Resumes are BORING, John recommends hiring a professional resume writer to do your resume, under the assumption that this is a skill that you probably have never developed and it’s worth paying a few hundred dollars to get someone who really knows what they’re doing. So far, so good. Then a few minutes later, when he’s talking about branding, he recommends going to Fiverr and having someone do your logo – the image that’s going to represent you for the foreseeable future – for $5. See the disconnect here? Now, I have to admit to a bias – my wife is a multimedia designer, and the challenge she faces in finding new clients is exactly this: people who don’t appreciate the difference in quality between a professional designer and the type of person you can hire for $5 off fiverr or craigslist. 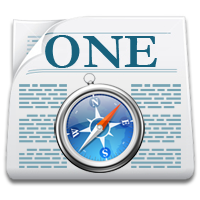 It’s even worse for websites: too many business owners would rather buy a crappy template site for $100 from someone off craigslist than spend $1000+ for a professional site, even if the cheap site will end up turning away customers in the long run. I wouldn’t describe myself as cheap, but I don’t like paying more for things than I have to either. When I’m shopping for non-food items for myself, I aim to get them for a least a quarter off. Yet, when I’m deciding what to purchase, quality is (within reason) a larger determinant than price. Why? Quality might cost more up front, but it saves you money (and will make you happier) in the long run. To take a geeky example, I’d rather have one copy of Food Chain Magnate (a VERY good $100 board game) than ten cheap games like Uno, Monopoly, etc; the high-quality game will provide more enjoyment over time. 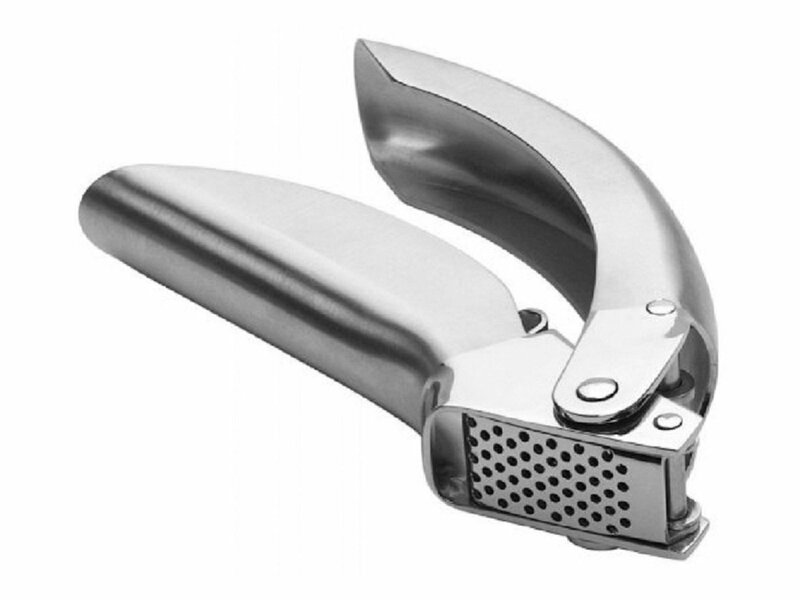 A $25 garlic press. 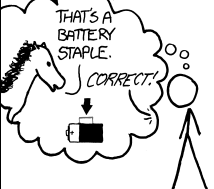 Well-made tools pay for themselves in lack of hassle. The same thing applies to services: you can’t (or at least, shouldn’t be able to) get services from an expert artist (or designer, or coder, or any other professional) for the cost of a cheap meal. As software developers, we expect to be well paid for our expertise; shouldn’t we expect that other people who are also experts in their fields should want and deserve the same? As professionals, we know that it’s more efficient for a company to hire us at a high rate to create a software package than to hire a college student with enthusiasm and a low hourly rate but without the experience or education to create the product that best meets the customer’s needs. Shouldn’t we express the same judgement when choosing services for ourselves?